When you’re selling a technical product in store to a professional class of consumers, how do you communicate detailed product information in a manner that is informative and easy to understand? Demonstrate how and why your product is superior to the competition with an Americhip Video Poster. 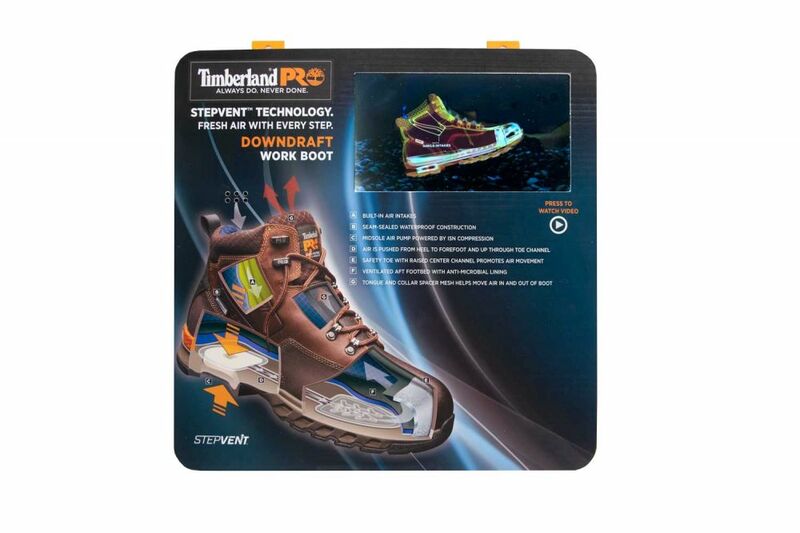 Americhip partnered with TimberlandPro to highlight the key elements of its new Stepvent technology. The 12” x 12” video poster was made of a rugged plastic housing, a printed plastic lens cover, our 7” TFT Screen and was mounted directly to the slat wall behind the boot. Consumers pressed a button to watch a detailed video animation of exactly how the Stepvent technology works and why it’s so critical for those working outdoors. 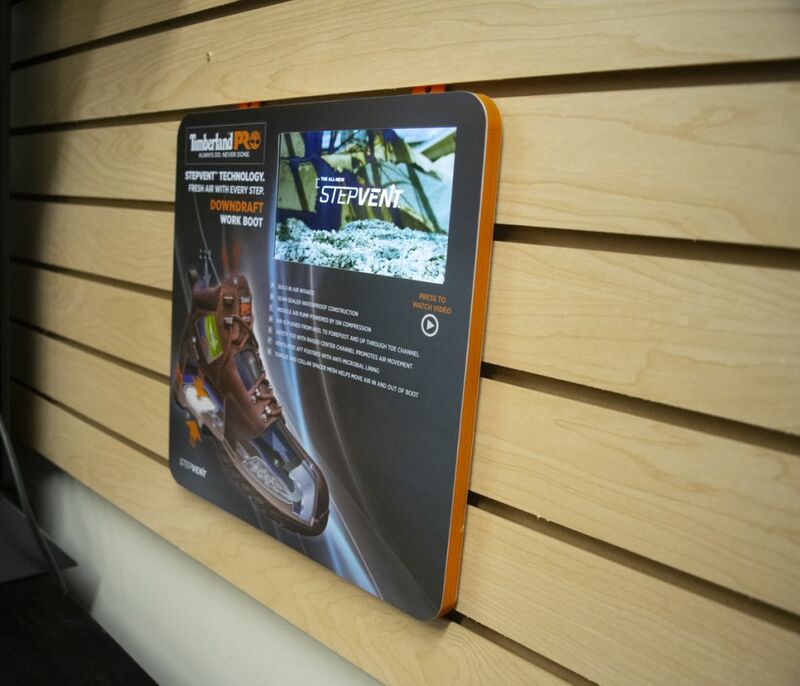 Capture attention and turn shoppers into buyers with Americhip's line of instore digital displays. 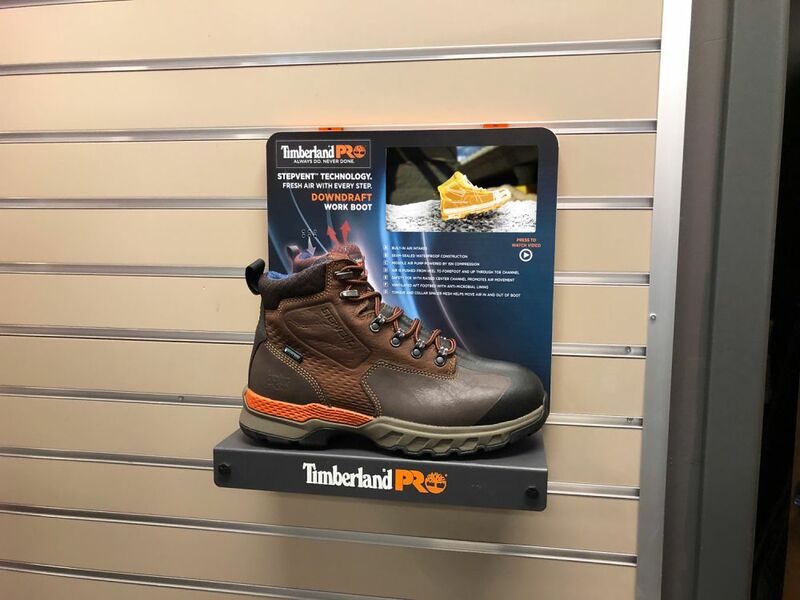 After positive feedback from retailers and consumers, Timberland reordered these Video Posters 60 days after the original launch.